Inspired by Margaret Mead’s time in New Guinea, this novel is not strictly biographical. Three young anthropologists in the early 1930s are studying isolated tribes in New Guinea. Nell has published a controversial bestseller about her work in Samoa, and Fen is clearly jealous. Nell is recovering from a broken ankle, probably has malaria, and is missing her glasses when she first meets depressed British anthropologist Bankson, who is working along the Sepik River. Nell and Fen have just left the violent Mumbanyo tribe at Nell’s insistence, and Bankson helps them find a more welcoming settlement further down the Sepik River. Nell studies the women and children, making copious notes, while Fen seems to want to be one of the guys and observe daily life and rituals without making any notes or sharing his observations. Bankson is clearly attracted to and protective of Nell, but is dependent on Fen when he falls ill. This is a fast read, but a confusing one. I may need to read this book again to reach a conclusion about what I think happened before the trio meets, and what happens after they leave New Guinea. 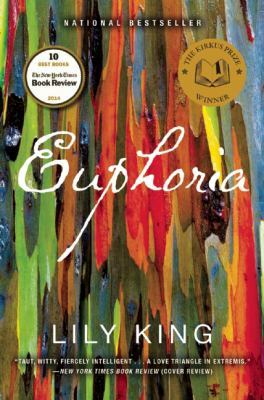 Most biographical novels I’ve read stay pretty true to the real life of the main character; this book was intriguing because the author didn’t and had more freedom to develop the plot and change the relationships. 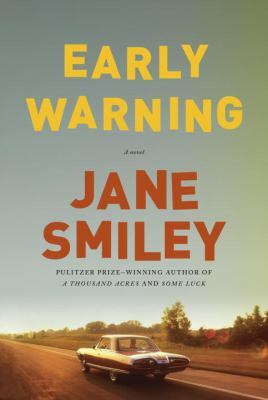 At 476 pages, Early Warning is not a quick read. It is the sequel to Some Luck, a family saga about an Iowa farm family. Early Warning covers the years 1953 to 1986, as the Langdon family expands into the next generation. I think the first book is better, but the many characters in Early Warning are interesting company and the author is an excellent storyteller. Dialogue is very well done, and the complex interactions of the extended family are believable. Plot is not the strong point here, as there is some predictability. Topics covered include the Cold War, the baby boom, psychoanalysis, stay at home mothers, Vietnam War, breast cancer, social change in the sixties, working for the CIA, pursuit of wealth, coming out, a drawn-out divorce, sibling rivalry, and changes on the family farm. As the Langdon children become middle-aged they become more introspective about their lives and their family. I definite recommend starting with Some Luck, and I’m looking forward to the last book in the trilogy, not yet written. Sam Clair, 40, is a book editor for Timmins and Ross in London. She lives alone, and likes it. Sam dislikes the frequent meetings with the other editors, and edits mostly women’s fiction. When her star author delivers a very different book than expected and a police inspector interviews her about a missed delivery, life gets more interesting. A break-in at her flat leads to an acquaintance with her reclusive upstairs neighbor, and increased attention from the attractive inspector, Jake Fields. Even Sam’s mother, Helena, a solicitor, gets involved when Sam’s author and friend Kit Lovell goes missing. Kit has just sent Sam his new manuscript, a tell-all about a fashion icon’s death that may be libelous. A fascinating look at the world of London book publishing, where Sam has both too much work and too many parties to attend, and hopes that her newest assistant, Miranda, might stay for longer than a couple of months. 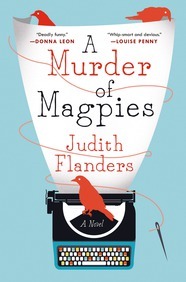 A cozy mystery with humor and a touch of romance, I enjoyed the fast pace and the lack of predictability. This is the first novel from a former book editor who writes articles about the arts and books about Victorian life. To begin with, this is a massive book that feels like two different novels. Most of the book is set in the near future, with an epilogue at the end set 5,000 years in the future. At the start of the book, Earth’s moon breaks apart into seven massive pieces. Scientists don’t know why, but soon realize that the rocks will start colliding with each other, forming smaller and smaller boulders that will eventually result in a destructive hard rain of debris. Estimated time to the hard rain is two years. 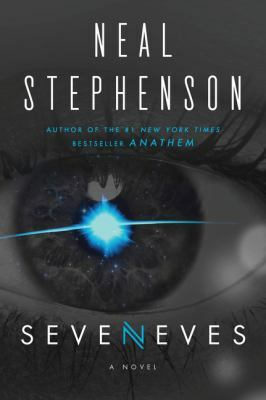 Stephenson has put a lot of thought into what might happen if we had two years to prepare for disaster, including the political, social, and technological challenges, and puts most of these thoughts in the book. His readers are used to these info dumps, but they are unusual. What happens is that the International Space Station gets a lot bigger and busier, with Earth trying to send as many people into space as possible. These challenges take up most of the book, with an intriguing glimpse at a new civilization in a marvelous setting in and around Earth 5,000 years later. The characters, settings, and plot are all compelling reading, but a few events seemed forced to me, unrealistic even for ambitious science fiction. I really would like to read more about the people of the future, and hope Stephenson writes more about their world. 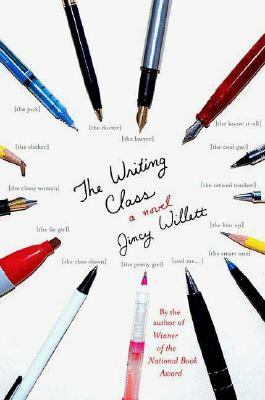 Students in Amy Gallup’s new writing class in southern California start getting odd comments or a rude drawing in their writing critiques, and Amy gets a threatening phone call. Amy, who hasn’t written for decades, is cranky and cynical, but seems to be an excellent writing teacher. When the pranks escalate and there’s a suspicious death, the class wants to keep meeting to uncover the culprit. Can Amy analyze their writing samples to help solve the mystery? Will Alphonse, her basset hound, be threatened? While not as funny and witty as the follow up book, Amy Falls Down, this is still an enjoyable novel, with some potentially useful advice for novice writers. Book 1 in the Kate Daniels series. 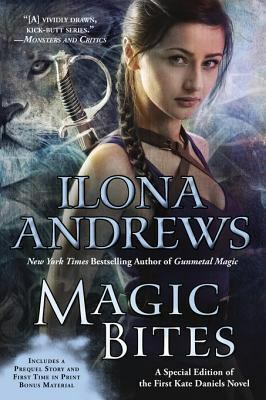 I thought this was urban fantasy novel worked really well. Frequent waves of magic have brought down many skyscrapers in Atlanta, and stalled cars. Sometimes technology still works, so Kate has two kinds of lights in her apartment, and drives two very different old vehicles, and occasionally rides horses. Kate is a mercenary investigator, fast with her sword and both sarcastic and funny, which often provokes a quick challenge. Kate has no family, so when her guardian Greg is killed, she wants revenge. During the investigation, she has access to his office and apartment. She dislikes vampires, thinks crusaders are crazy, and spars with the Beast Lord Curran, who can take human or lion shape. Together, Kate and Curran search for Greg’s killer, and I’m sure they’ll have more adventures together. This prequel to the post World War I Ian Rutledge mystery series is a great introduction to the series. 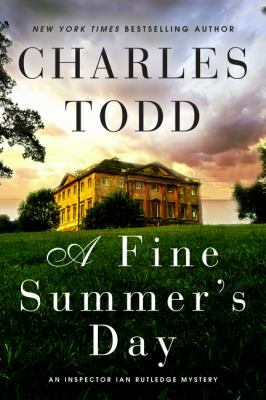 Charles Todd and his mother Caroline Todd jointly write all their mystery novels together. On a beautiful June day in 1914, Inspector Ian Rutledge proposes to Jean Gordon at a house party. Jean hopes for a Christmas wedding like her parents, and is frustrated that Ian travels so much investigating homicides for Scotland Yard. Ian is looking into suspicious deaths of men who have nothing in common except that they once lived in Bristol. Possibly related, a few gravestones in different cemeteries have been blackened. The day Ian proposes is the day Archduke Ferdinand is killed, and as Ian struggles to solve his cases and make plans for his future, the situation in Belgium gets worse and worse. Superintendent Bowles wants a quick resolution, and it will take a lot to persuade him that the deaths are connected. Many young men are eager to join the army, convinced that they’ll be home from France and Belgium by Christmas, and Jean urges Ian to consider enlisting, to get his share of the glory. Readers of other books in the series know the Ian will go off to war, and will survive, shell-shocked and haunted, uncertain if he can continue in his work for Scotland Yard and with his other plans for the future uncertain. It was enjoyable to read about the young inspector’s careful investigation, frustrated by the delays in getting information and even finding a telephone, and driving long hours to spend a little time with Jean.